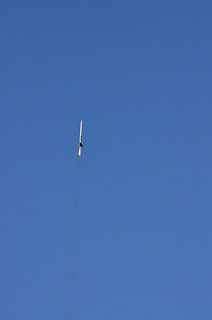 While Winter may be upon us, today's launch was mild. 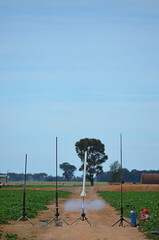 A few clouds in the sky but a field full of Broccoli !! 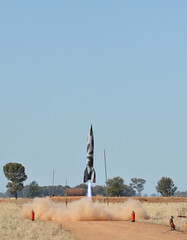 The land owner had asked us today to take extra care with retreval of rockets, in order to minimise any damage to his crop. Noel, Jase & Nat racking up. 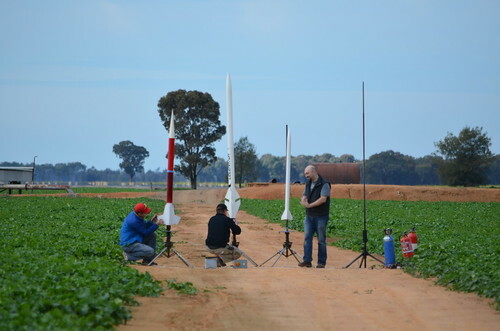 Noel, Ricky T & Nat's rockets getting away. 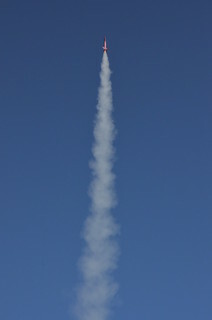 The April launch presented us with perfect weather. Clear blue sky and mild weather. 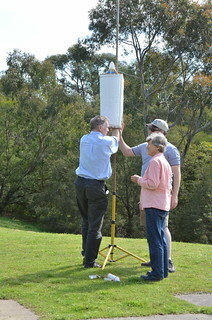 With perfect weather, Jase and his family joined us at the Dandenong Wetlands for a small launch. 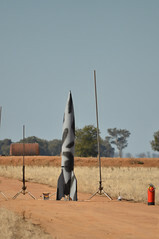 Jase had been working with his daughter Zoe on a school project and had built a fantastic looking rocket. 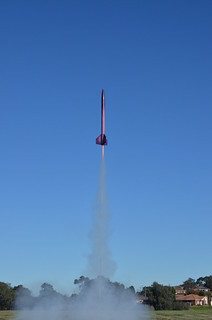 This was the first opportunity to launch it on an Estes D12-3 motor. 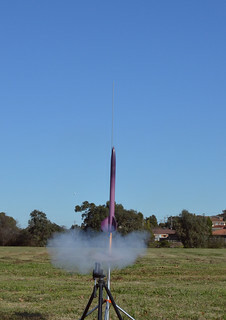 I also launched "Twisted" - the Finless Rocket!! 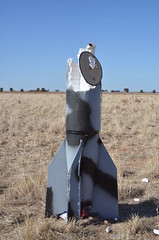 So, how did it fly? Check out the video after the jump. 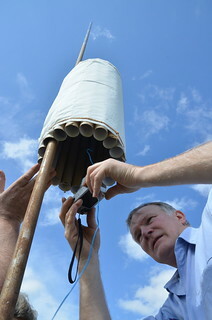 You can also check out the full set of photos of the day here on Flickr. 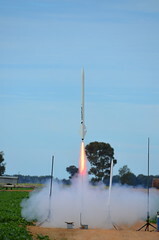 Saturday June 8 was the first of a two day launch for Rocketry Victoria and the weather couldn't have been better! 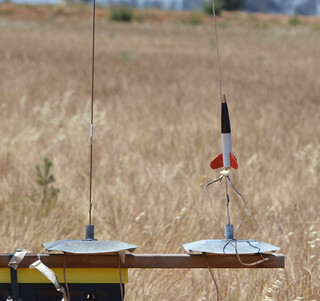 Despite the weather, Rocketfest XVIII went ahead on May 26th at Eric's property in Officer. Upon arrival, the rain was bucketing down but stopped shortly after and held off for the remainder of the day. 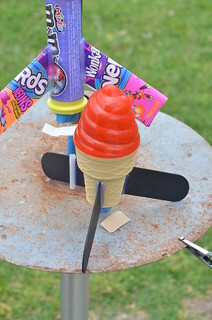 Lots of fun was had with these little rockets. 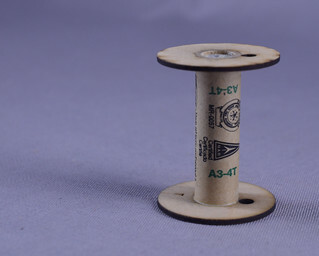 My spool rocket was the smallest by 2mm. 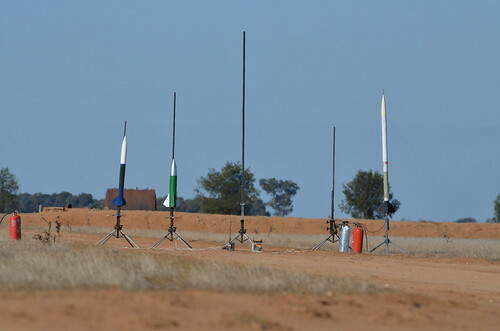 Karl's rocket (2nd from the right) was the highest and Darren's pointy one with the long fins in the middle was probably the most entertaining. 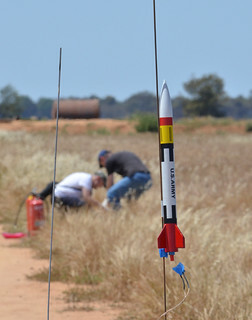 With the announcement of Rocketfest XVIII, a theme was chosen - "Go Small". 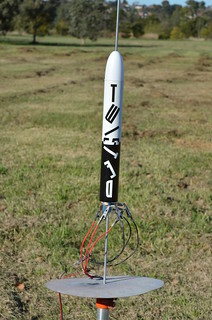 The guidelines for the competition was to build the smallest stable flying rocket that used an un-modified Estes motor. 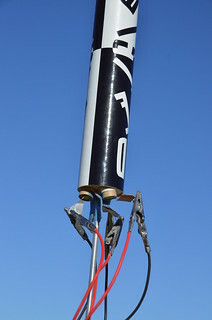 Since the 13mm A3-4 and A10-3 motors are the smallest Estes motors currently in production, this is what I went with. 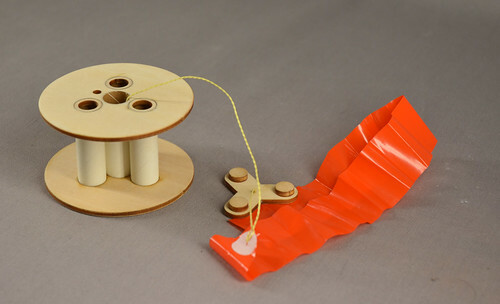 My idea was to create a spool rocket. I decided to create two - one using a single motor and the other, a cluster of thee motors. 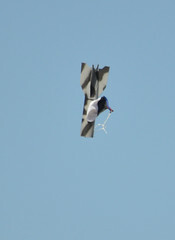 How did they fly? Check out the videos after the jump! 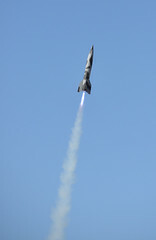 May 5th marked the first launch for the year. 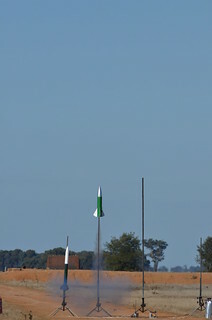 It was a nice warm day with little wind - you couldn't have asked for better conditions. 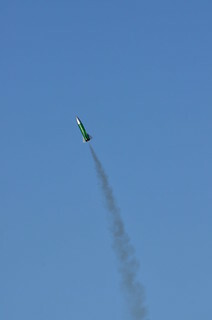 The big launch of the day was Karl's 1/4 scale V2. 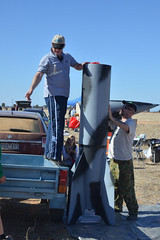 Karl's working towards building a full 1:1 scale model. The flight was fantastic. 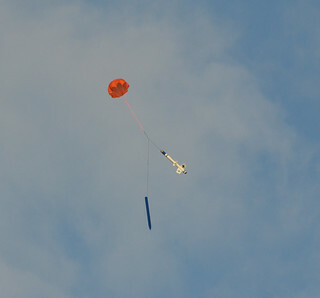 Recovery was hampered only by the parachute catching on the guy-wires used to help keep the fins straight. 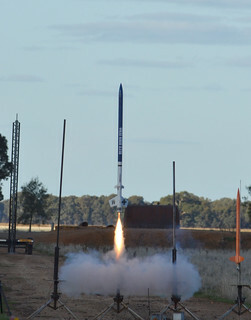 November 11th, 2012 saw the final launch of the Rocketry Victoria calendar for the year. 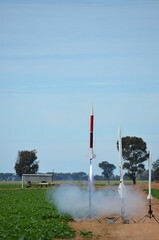 Some great flights on what turned out to be a very warm day! 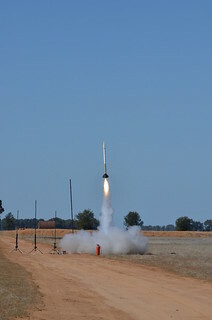 I only launched a couple of small rockets - My scratch built 'Stumy' on a A3-4 and an Estes Patriot on a D-something RMS motor. 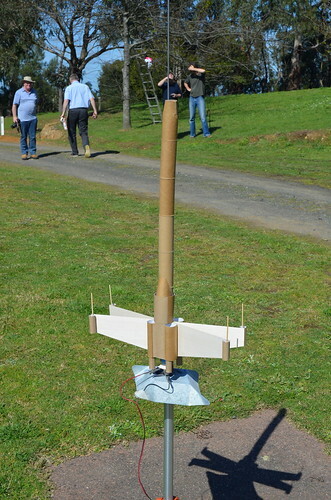 There were, however, some spectacular flights including Nic's sparky 'M' rocket which was never recovered. 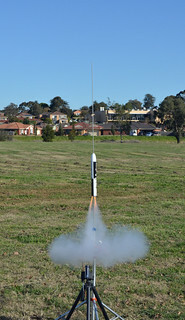 Photos of the launch on flickr.